It’s time. 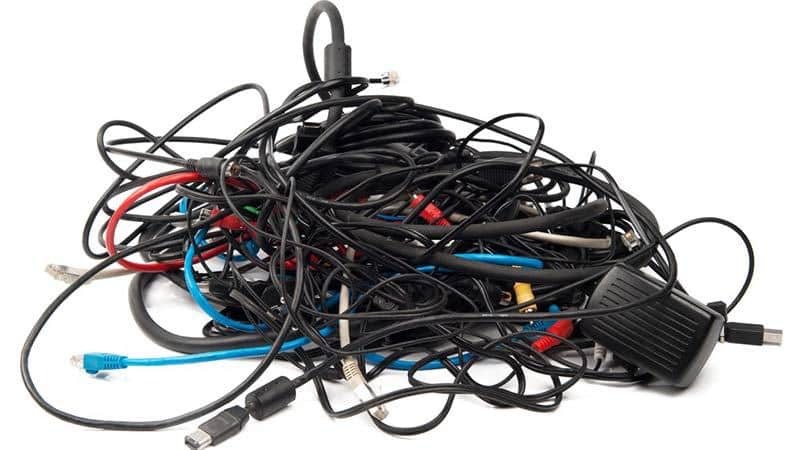 It’s so time to bring an end to that annoying tangle of VR cables that we all deal with. So we were thrilled to hear that the VirtualLink Consortium actually got the major Virtual Reality rivals to sit down and agree that a single USB Type-C cable could be used for both power and data. First VR cables. What next? Cross-platform VR experiences? We wish. It’s a huge step forward to acknowledge that USB-C can handle everything. Maybe even a bigger step to get Valve, Microsoft, and Oculus to agree on anything. Value and Microsoft have taken some tentative steps to work together but Facebook-owned Oculus has been slow to collaborate. ArsTechnica has the technical details. You can skip ahead for what it actually means. YouThe spec uses the USB Type-C connector’s “Alternate Mode” capability to implement different data protocols—such as Thunderbolt 3 data or DisplayPort and HDMI video—over the increasingly common cables, combined with Type-C’s support for power delivery. The new headset spec combines four lanes of HBR3 (“high bitrate 3”) DisplayPort video (for a total of 32.4 gigabits per second of video data), along with a USB 3.1 generation 2 (10 gigabit per second) data channel for sensors and on-headset cameras, along with 27W of electrical power. Down the road, better displays such as the ever-delayed Pimax VR headset may bump up against the new standard. But at least we have one. Anything that makes VR easier to use is welcome. For too long, immersive tech has been the playground of geeks, gamers, and creatives willing to hack together hardware and deal with innumerable frustrations. For VR labs, kiosks, film festivals and other immersive events, the new standard makes life a little easier. Unfortunately (and there always seems to be a caveat), the standard only applies to next-gen headsets, so you won’t see an immediate impact. Which makes you think about why we’re even pushing out a standard to resolve the VR cables issue. CNET proclaimed 2018 as the year we finally cut the cord with fully wireless HMDs. With the Vive Pro and Oculus Go already on the market, we’re getting remarkably close. So here’s the kicker. Wouldn’t it be ironic if the new standard arrived at the same time all our HMDs became wireless? It’s possible given how fast wireless VR is developing. Things change fast in Virtual Reality – while simultaneously moving at a glacial pace. Now if we could just agree on . . . The real achievement here is that the major vendors actually came to an agreement. Now if only they could standardize on fully cross-platform access to VR experiences, we could mark some serious progress. Delusional, I know. The summer heat must be getting to me.